Since he took power in May 2014, Prime Minister Narendra Modi has made universal access to electricity a key part of his administration’s ambitions. At the same time, he has pledged to help lead international efforts to limit climate change. Among other plans, he has promised to increase India’s renewable-energy capacity to 175 gigawatts, including 100 gigawatts of solar, by 2022. (That’s about the total power generation capacity of Germany.) And therein lies India’s energy dilemma. Already the world’s third-largest emitter of carbon dioxide and other greenhouse gases, India is attempting to do something no nation has ever done: build a modern industrialized economy, and bring light and power to its entire population, without dramatically increasing carbon emissions. Simply to keep up with rising demand for electricity, it must add around 15 gigawatts each year over the next 30 years. The country gets most of its electricity from aging, dirty coal-fired plants. (It has little domestic production of oil or natural gas.) And its energy infrastructure is in dismal shape. The obsolescence of its power grid was demonstrated by a massive 2012 outage that left more than 600 million people in the dark and drew attention to a utility sector in disarray, with an estimated $70 billion of accumulated debt. Such growth would easily swamp efforts elsewhere in the world to curtail carbon emissions, dooming any chance to head off the dire effects of global climate change. (Overall, the world will need to reduce its current annual emissions of 40 billion tons by 40 to 70 percent between now and 2050.) By 2050, India will have roughly 20 percent of the world’s population. If those people rely heavily on fossil fuels such as coal to expand the economy and raise their living standards to the level people in the rich world have enjoyed for the last 50 years, the result will be a climate catastrophe regardless of anything the United States or even China does to decrease its emissions. Reversing these trends will require radical transformations in two main areas: how India produces electricity, and how it distributes it. The man charged with solving this puzzle is Piyush Goyal, the minister of power. (His full title is Minister of State with Independent Charge for Power, Coal and New & Renewable Energy.) With his political inheritance (his father, Ved Prakash Goyal, was a member of parliament and the minister of shipping under the government of Prime Minister Atal Bihari Vajpayee in the early 2000s), his suave manner, and his investment banking background, Goyal, 51, represents a new generation of Indian politicians from the Bharatiya Janata Party (BJP) who have come to power during the decline of the once-dominant Congress Party. Despite the BJP’s origins in the Hindu nationalist party that emerged in opposition to the more secular Congress Party, these younger politicians tend to be pragmatists, seeking to encourage economic growth through neoliberal policies such as deregulation and privatization of state industries. Since his appointment, Goyal has emerged as a champion of renewable energy, calling for investments of $100 billion in renewables and another $50 billion in upgrading the country’s faltering grid. Almost every week he appears in the newspapers cutting the ribbon on a new solar power plant or wind farm or hydropower installation. But he has also remained a staunch supporter of coal. He was exultant at the passage of a bill in March to guide expansion of the country’s domestic coal-mining industry, saying it would boost the economy and create thousands of new jobs. While prices for electricity from renewable sources have fallen sharply in recent years, coal remains the cheapest source of power, and India’s coal industry has embarked on a building boom, doubling installed capacity since 2008. 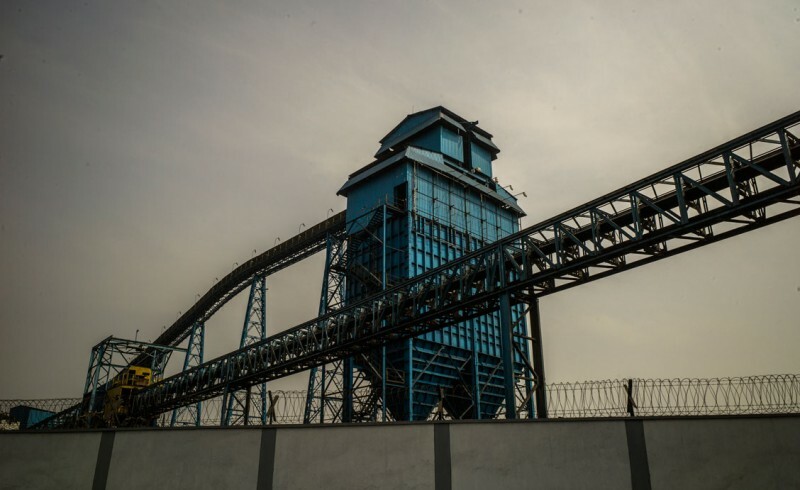 India consumes around 800 million tons of coal a year and could more than double that number by 2035, according to the World Energy Outlook from BP. To meet that demand, and to limit coal imports, Goyal plans to increase domestic coal production to 1.5 billion tons a year by 2020, from 2018 levels of 660 million tons. “Increasing domestic production of coal will be a big step towards long-term energy security of India,” he said in a January tweet. “India’s conundrum is a coal conundrum,” says Jairam Ramesh, a former minister of the environment. Ramesh, the chief negotiator for India at the international climate change talks in Cancún, Mexico, in 2010, is the author of Green Signals: Ecology, Growth, and Democracy in India. Last August, he welcomed me to the cramped, book-lined study in his home in Delhi and took me through the numbers on India’s energy resources. Almost 70 percent of India’s electricity today comes from coal-fired plants. About 17 percent comes from hydropower, much of it from large dams in the northeast. Another 3.5 percent comes from nuclear. That leaves about 10 percent, depending on daily conditions, from renewables—mostly wind farms. Over the next 25 years, “with the most aggressive assumptions in terms of renewables, we could go up to 18 or 20 percent from renewables,” Ramesh told me. “Hydro takes longer—it involves displacement of people and submergence of land, but we could expect that 17 percent contribution to go up to 25 percent. Nuclear is at 3.5 percent right now and, under the most aggressive assumptions, could go up to 5 or 6 percent. So under the best scenario—the most aggressive programs for nuclear, hydro, solar, and wind—bloody coal will still be at 50 percent.” In other words, while low- or zero-carbon sources would make up a greater portion of India’s energy supply, overall carbon emissions would nearly double: from around 2.1 billion tons in 2014 to more than four billion tons by 2040, according to the International Energy Agency. That’s a discouraging conclusion. The response from Modi and Goyal has been to embark upon the world’s most aggressive capacity-building program for low-carbon power generation. It was soon after taking office that Modi announced he would seek to add 100 gigawatts of solar power capacity by 2022. (India has about four gigawatts of solar capacity today.) Fifty-seven gigawatts of the planned new capacity is supposed to come in the form of utility-scale solar, including so-called “ultra mega” projects, ranging in size from 500 megawatts up to 10 gigawatts. “Ultra mega” hardly does justice to the scale of such gargantuan parks; the world’s largest solar plant, the Desert Sunlight plant in California’s Mojave Desert, is 550 megawatts. Twenty-five of these huge projects are due to come online by 2019, supported by 40.5 billion rupees ($649 million) in central-government funding—a paltry sum given that Desert Sunlight cost more than $1.5 billion to build. (In 2012, when Modi was chief minister of the state of Gujarat, he presided over the launch of the world’s largest solar installation: a group of plants totaling nearly one gigawatt combined.) Another 75 gigawatts of wind capacity is also planned. Together, these additions would boost India’s renewable capacity from around 10 percent of the total to as much as 32 percent. At the same time, the government plans a program of building nuclear plants that would roughly triple capacity by 2024 and supply one-quarter of the country’s electricity needs by 2050. India also aims to further capitalize on its abundant potential for water power, particularly in the far northeastern states, where rivers tumble off the Himalayan plateau. The fourth leg of India’s low-carbon energy platform will be natural gas—if the country can find enough to import. India’s domestic natural gas reserves are small, and imports have been limited by the expense of shipping liquefied natural gas by tanker. But the conclusion of an international agreement to limit Iran’s nuclear arms capacity, which would lift the international sanctions that have restricted Iranian energy exports, would give new momentum to the planned construction of an ultra-deepwater natural-gas pipeline across the Arabian Sea, from Iran to India’s west coast. Foreign companies are lining up to invest in India’s renewable–energy sector (Softbank, of Japan, recently announced it will invest $20 billion in solar projects in India). But actually building all these new projects will be extremely expensive, requiring a level of fiscal discipline and political will that India’s fractious, corrupt government has seldom achieved. Modi, who has surrounded himself with a group of capable, mostly well-respected technocrats like Goyal, has limited power to compel the states to implement and enforce clean-energy mandates, beyond the promise of central-government largesse. Rules requiring utilities to use a minimum amount of renewable power have mostly been ignored. Key pieces of legislation, including important amendments to the Electricity Act of 2003, are stalled in parliament because few of the country’s politicians are willing to tackle the key issue: utilities are currently forced to sell electricity at below costs. Efforts to modernize the country’s antiquated utilities—as must happen if there is to be any chance of implementing Modi’s ambitious energy agenda—seem no closer to success than they did when he took office. And then there is the question of how to pay for all the new renewable-energy installations. One hundred gigawatts of new solar capacity will cost in the trillions of rupees, requiring both higher electricity rates and massive funding from the central government. A 200-rupee tax on every ton of coal produced goes into a National Clean Energy Fund that now totals around $2.6 billion, but little of that has actually gone to developers and builders. At the same time, finance minister Arun Jaitley, at Modi’s direction, is determined to reduce India’s budget deficit, currently around 4 percent of GDP. To overcome the likely shortfall, Modi and Goyal are, essentially, demanding that Western nations step in and finance renewable-energy programs in India and other developing countries. “The West will have to pay for the damage they have caused to the world and the planet,” Goyal said in a climate-change address in London in May. Another barrier to Modi’s plans is that India imports nearly all its solar components. The “Make in India” campaign that he launched to encourage domestic manufacturing includes provisions to develop a solar manufacturing sector, but it will be tough to compete with low-priced imports from China in a country with a creaky industrial infrastructure, expensive capital, and little expertise in the technology. In short, Modi is trying to create a world-class renewable-energy industry while reforming a corrupt and bankrupt utility sector, growing the country’s manufacturing sector, keeping deficits low, and sustaining economic growth at around 8 percent a year. If all that happens—if the grandiose solar plants get built, and new dams arise in the north, and the nuclear plants get financed, and the deepwater pipeline gets laid—India could, perhaps, solve the conundrum of “bloody coal” and overhaul its power generation system. That, however, would still leave one large problem: transmitting and distributing all the electricity to consumers. Kishan Lal met an ignominious end. On the evening of June 24, the 40-year-old fruit and vegetable vendor went to relieve himself in a public toilet in Shakarpur, a district of east Delhi, and made the mistake of touching a metal rail inside the loo. He was electrocuted and died instantly. India’s power grid is dangerous because it’s haphazard and often improvised. Power theft, known as katiyabaaz, is rampant; even legal connections are often jury-rigged. Snarls of lines enveloping the tops of leaning electrical poles are a ubiquitous sight in every Indian city. Power losses in transmission and distribution across India average around 25 percent, and in some areas they can reach 50 percent. That means that half of the electricity being generated either never reaches an end user or is used but never paid for. Power losses in the developed world seldom reach 10 percent. For a grid about to be tested by the addition of large amounts of power from intermittent renewable sources, that outdated infrastructure is a huge problem. It’s compounded by the fact that so many of India’s citizens aren’t on the grid at all (no count is precise, but the number is probably somewhere between 300 million and 400 million). Not only do power lines fail to reach many rural areas, but many of those living in city slums are also without utility services (often they simply cannot afford the estimated $105 it takes to connect to the grid, even if such connections are available). The Power Grid Corporation of India operates more than 70,000 miles of transmission lines that stretch across most of the subcontinent. What had been five regional grids have been united into a single national system that reaches to within a few miles of most of the population, a process completed in 2013. The grid’s transmission connections between regions remain inadequate, however—this was the primary cause of the 2012 blackout—and India’s switching and control technology has been little upgraded in the last two decades. What’s more, the buildup of generation capacity in the last decade has not been matched by investments in power lines and substations. India’s grid operator plans to spend one trillion rupees ($15 billion) over the next few years to add nine new high-capacity transmission corridors—a sizable fraction of the $50 billion that Goyal has said will go to modernize the grid over the next decade. In theory, such funding should make work easier for people like Pawan Kumar Gupta, the general manager of the State Load Despatch Centre, the main grid operations center for the nation’s capital. Outside the Despatch Centre, I saw the same tangled, sagging wires that lead to just about every building in Delhi; inside, the corridors were empty and dusty until we passed through a series of secure doors to reach the control room. There, a wall-size screen monitors the various feeders and substations for the five distribution utilities that serve the metropolis. On the board, green and yellow flashing numbers showed the amount of electricity flowing across the system. The function of the Despatch Centre is to match supply and load, or demand. Demand goes up and down, but the supply is fixed. Nationwide, the country runs an annual energy deficit of 5 percent; in other words, it produces only 95 percent of the power it needs. In many big cities the deficit creeps upward to 20 or 25 percent. When the power’s not available, the Despatch Centre throttles down; the result is the daily rolling brownouts that plague Delhi, along with most other Indian cities. With grid power uncertain, major Indian companies such as IT giant Infosys have installed their own power plants: Infosys is planning a 50-megawatt solar park to serve its offices in Bangalore, Mysore, and Mangalore. Under so-called renewable-purchase obligations, instituted under Modi’s predecessor, distribution utilities, which deliver power to end users and are known in India as “discoms,” are required to provide certain levels of electricity from renewable sources (7.3 percent of their total supply in 2014–2018; the level goes up each year). Their actual progress toward meeting those targets has been limited, though, and the penalties for not doing so are negligible. If the utilities do manage to use more renewable energy, they will require major upgrades to the local distribution grids, to balance loads and ensure that the power supply is stable even when the sun’s not shining and the wind’s not blowing. Will the money come in time, if it comes at all? When I asked Gupta, he laughed out loud and threw up his hands. “It will be a very challenging job, no doubt,” he said, smiling. The practical job of dispensing power was made more difficult by the victory in February’s municipal election of the Aam Aadmi Party, which ran on a platform of steep discounts for water and power. Promising free water and electricity, without specifying a way to pay for it, is an old tradition in Indian state and local election campaigns. Under the Aam Aadmi Party’s platform, Delhi families will get 20,000 liters of free water a month, and those who use less than 400 kilowatt-hours of electricity per month will get a 50 percent discount on their electric bills. Those subsidies will cost the government up to 16.7 billion rupees ($250 million) annually—and they will not help the discoms run profitable businesses. The Delhi discoms, though, are models of financial stability compared with many of their counterparts across India, especially those that serve rural areas. Under the agricultural subsidies that have become the third rail of energy politics in India, farmers essentially get free power, which means the utilities that serve them lose money on every customer. Some of the loss is made up in handouts from the central government—but upgrading the grid will be of little use unless utilities can develop viable business models. The sector has been bailed out, to the tune of billions of rupees, twice in the last 13 years. The cumulative losses have increased so drastically that they could “pull down the whole growth agenda” of the Modi government, says Praveer Sinha, the CEO of Tata Power Delhi Distribution, one of the major Delhi discoms. The landmark Electricity Act of 2003 instituted certain broad reforms, introduced elements of privatization, and created more consistent national rules governing the generation and transmission of power, but its provisions have been implemented spottily in some states and not at all in others. In May 2018, Goyal announced the National Smart Grid Mission, which will provide grants covering up to 30 percent for upgrades to regional and local grids. Two months later he unveiled a 20-year plan to upgrade the national transmission network, including an exemption from interstate transmission charges for power from renewable sources. Discoms in many states have announced rate hikes ranging from 5 percent to 45 percent. Full reform, however, will require steps that remain politically off limits for now: complete privatization, less interference by state governments in utility operations, and, above all, an end to free electricity for farmers. In the cities, meanwhile, discoms intent on modernizing—and getting customers to actually pay for their power rather than steal it—have been forced to broaden their scope. Tata Power Delhi, a subsidiary of the giant Tata conglomerate, has instituted a series of social programs, including free life insurance, medical care, and literacy and vocational classes, in order to try to persuade people to stop stealing power and pay for metered electricity. At one literacy program funded by the company, in a slum in Pitam Pura, in northwest Delhi, a dozen or so women crowded into a small room in a concrete building on a Tuesday last summer. An ancient desktop computer occupied a small table in a corner. Outside, the usual nest of electrical wires led to a meter on the wall of the building. Kusum, who gave only her first name, said that she and her family started paying for electricity a year ago, along with most of her neighbors. Bringing new customers like Kusum onto the grid, legally, is a step toward rationalizing the utility business. But such stories are always dwarfed by India’s vastness. Kusum’s is a relatively small slum of perhaps 21,000 people. That’s a tiny fraction of the population of India’s second-largest city, and not every utility has the wherewithal to become a social-services agency in addition to providing electricity. Click for more info on the Energy Crisis in India. In any case, reducing power theft among the urban poor will solve only one of many problems for India’s grid. In many places, villagers who can see the poles and power lines from their homes could wait decades for those lines to reach them. Expanding the grid to reach every home and business would require many trillions of rupees that the central and state governments simply don’t have. For many, gaining access to electricity through solar microgrids and other local power sources that bypass the traditional utility model is a far more practical option. “I don’t agree to the one-size-fits-all mechanism,” Goyal told the national Business Standard newspaper in June, adding that individual state-by-state plans for power-sector reform would be issued by mid-2016. The wider implication is that India’s energy problems will require solutions tailored to the country’s history, its technology and economy, and its place in the world. Although Appapur is located inside a tiger reserve, the real problems are leopards, snakes, and wild boars. Leopards take 10 to 15 domestic cows and goats a year, local people told me when I visited in late July. Boars destroy the small food gardens the villagers cultivate. Venomous snakes coil in the grass, a hazard for those walking in the dark. Solar lighting in the evening, made possible with 100-watt panels and lead-acid batteries, has reduced these problems but not eliminated them; the leopards sometimes hunt by day as well as night, and the boars are brazen at all times. A solar-powered electric fence would take care of the animal threats, people told me, but they realize that is years away at best. The most dramatic changes the small solar systems have wrought in the community are in education and social life. Children have light to read and study at night. A few TVs provide a link to the outside world (there was no Internet service, and no computers, in Appapur when I visited). The outdoor lights, though there aren’t many, bring people together to relax, socialize, and discuss the village’s problems in ways that were impossible in smoky, cramped, kerosene-lit huts. The most urgent need now is water. Before the solar panels were installed, a crew came and dug a well near the huge banyan tree that marks the center of the village. Later a couple of panels were hooked up to run the pump, but they proved insufficient. Officials promised to return with more panels. That was more than a year ago. Today people must still walk two kilometers to fetch water. India has thousands of unelectrified villages where the people still live in darkness. Most will never be connected to the grid. Rooftop solar power—or, alternatively, microgrids powered by various combinations of small renewable installations and diesel generators—are the only way their inhabitants will ever get reliable electricity. A number of Indian and foreign providers, including fast-growing companies like Visionary Lighting and Energy and Greenlight Planet, are spreading small home solar systems across South Asia, driven by government incentives, plummeting costs for the technology, and high demand. But small-scale solar is a tough, low-margin business. The money, at least for now, is in large, government-supported solar parks. The rush to build solar projects in India has officially begun. This year analysts expect the country to add 2.5gigawatts of solar capacity, more than double the total added in 2014. In phase one of the National Solar Mission, the government is soliciting bids to build 15 gigawatts of capacity across the country. The results of the government’s first solar auctions have been striking. In one, held in Madhya Pradesh, Canadian developer SkyPower won the bidding with an offer of 5.05 rupees (about 7 U.S. cents) per kilowatt-hour. That auction, offering the chance to build 300 megawatts of solar capacity, was so oversold that it attracted bids totaling 2,200 megawatts, at rates well below the 7.04 rupees per kilowatt-hour that the Central Electricity Regulatory Commission has determined is the threshold of viability for solar photovoltaic projects. Be that as it may, some of India’s currently planned utility-scale solar projects will never get built, while others will get built and fail. And even the successful ones will not be sufficient to solve all of India’s energy challenges. Jairam Ramesh, the former environment minister, suggests that the country needs to think differently about renewable energy sources and not expect them to primarily serve “this vertically integrated model of electricity generation, where the bigger the [project the] better.” In some cases, smaller will be better. That transformation is already happening. In southern Indian cities like Bangalore, many rooftops already have water tanks heated with solar energy, and the number of states that require rooftop solar on new construction is multiplying. Every town in India, even the dustiest roadside hamlet, has banners and billboards advertising small battery and inverter systems. A new energy ecosystem is arising in complex and not always predictable ways. One day last summer, I visited a solar test site in a walled compound near the town of Challakere, in the dry scrubland a few hundred kilometers north of Bangalore. Run by the Bangalore–based Indian Institute of Science (known as IISc), it’s a concentrated-solar-power test array. Rows of shallow parabolic troughs, made of specially coated aluminum, stretch the length of more than two and a half football fields. Sunlight reflected from the troughs is concentrated onto water pipes above. Started up this fall, the system heats water in the pipes to 200 °C; the hot water goes to a heat exchanger attached to a small turbine that produces 100 kilowatts of electricity. Funded by the Karnataka state government and the Solar Energy Research Institute for India and the United States, this array will be used to test various reflective materials and heat-transfer fluids (including, for instance, molten salt in addition to water). The objective, says IISc professor of materials engineering Praveen Ramamurthy, is to find the best combinations of components specific to conditions in India, a process that is badly needed for solar photovoltaic technology as well. Among the hazards to solar arrays in India are high temperatures and humidity, which tend to rot the adhesives that hold together conventional solar panels. Dust and degradation are also major problems. Ramamurthy is developing polymer composites to seal in and protect the photovoltaic cells. Solar photovoltaics will be the main source of solar power generation in India, but concentrated solar power is also of keen interest, because it can be used in ways other than generating electricity. Across India, for example, are small, independent factories that produce bricks by baking them in wood-fired stoves. That causes deforestation and heavy emissions of carbon dioxide. Using concentrated solar to bake the bricks would be a huge boon to the environment. Such tailored solutions may seem inadequate to the scale of the challenges. The combination of failing utilities, heavy reliance on coal, a faulty grid, and an energy sector crippled by government subsidies and interference seems to argue that India has no chance: no path to economic growth and energy abundance except one that’s disastrous for the environment. But at ground level, the picture is more complicated and less bleak. Ultimately, some combination of distributed solar power, local microgrids, and large renewable-power plants will be needed to address India’s energy needs over the next 50 years. You can’t extend the grid to every village and hut in India, but you also can’t develop and operate a 21st-century manufacturing base using unpredictable distributed solar power. The key will be figuring out what works on a state-by-state, city-by-city, village-by-village level. That work is already being carried out in the state of Bihar, by a team of researchers connected to the Tata Center for Technology and Design at MIT. Bihar is typical of India’s rural states: it has more than 100 million people, less than one-fifth of whom have access to reliable electricity. The state discom is more or less bankrupt, subsidized electricity bills are artificially low, and electricity losses on the grid are close to 50 percent. The reach of the grid is random, says Ignacio Pérez-Arriaga, a visiting professor at MIT and head of the Reference Electrification Model, which is focused on planning electricity access for India and other developing countries. Paradoxically, the sheer size of the task ahead—the fact that India is in the early stages of upgrading and modernizing its energy system—is in some ways an advantage. It happens to be embarking on its modernization phase at a time when prices for renewable-energy generation, and for the technology to make it work at the local level, are starting to rival prices for traditional fossil-fuel-generated power. BMW, for example, said earlier this year that it will build a solar plant to meet 20 percent of the power demand at its factory near Chennai. Indian Railways, which operates the most extensive railroad system in the world and is the nation’s largest employer, plans to build a gigawatt of solar capacity in the next five years. By avoiding the cost of providing universal, grid-based electricity, India can concentrate on what works best for specific locations and specific needs. Every microgrid and local solar system deployed reduces by a fraction the need to extend the grid; every new renewable-energy system installed by a business or factory reduces the pressure to build ultra-mega power plants. Because it’s industrializing now, India has the chance to remake itself using rapidly improving technologies. Today, it’s requiring new buildings to be solar-equipped and deploying entrepreneurial distribution models that bypass the broken utilities. Tomorrow, it could be relying on concentrated solar for small factories, or small nuclear reactors, or some other generation and distribution model that has yet to emerge.